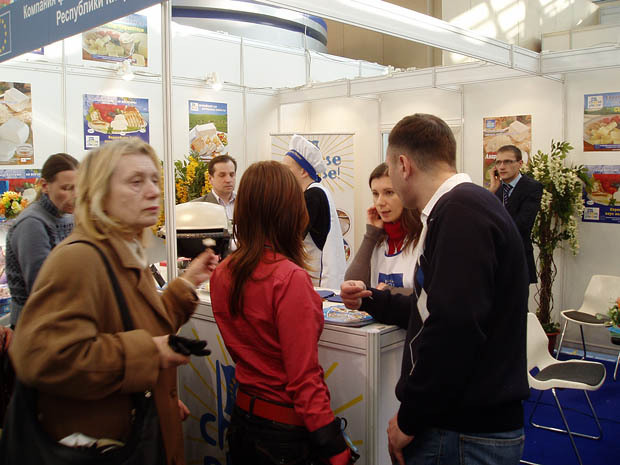 ﻿ PRODEXPO Exhibition – Moscow 8-12 February 2010. 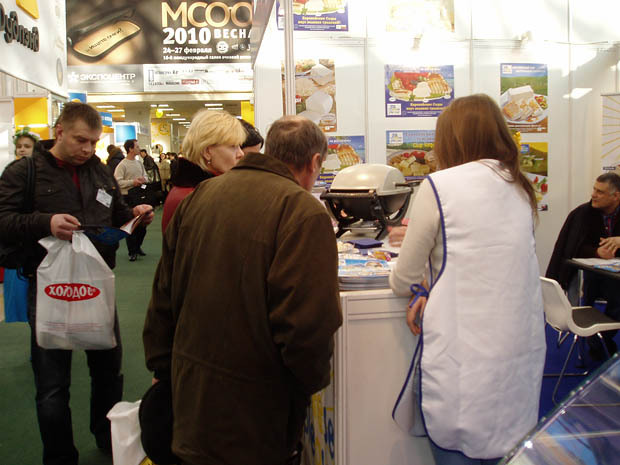 PRODEXPO Exhibition – Moscow 8-12 February 2010. 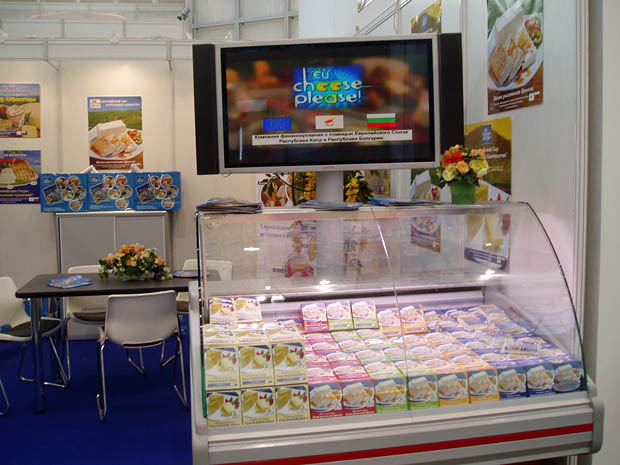 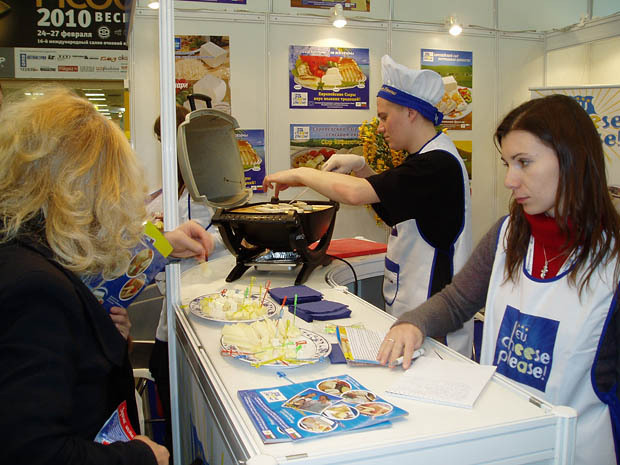 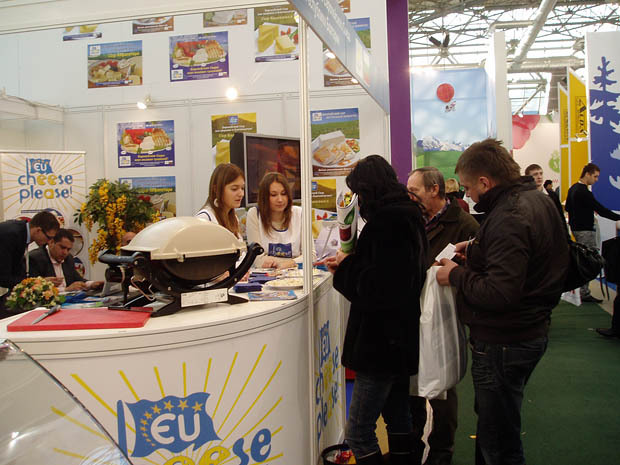 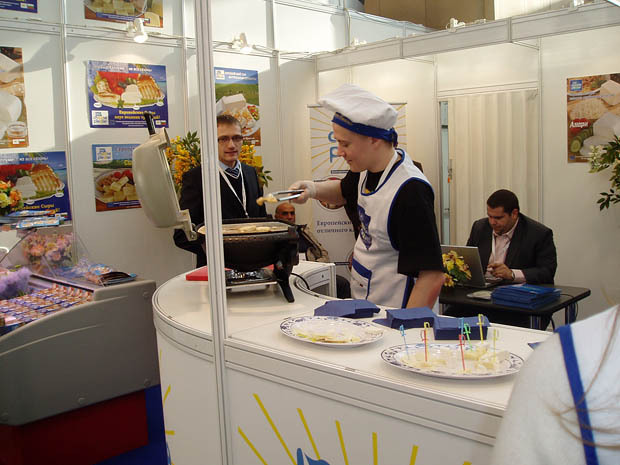 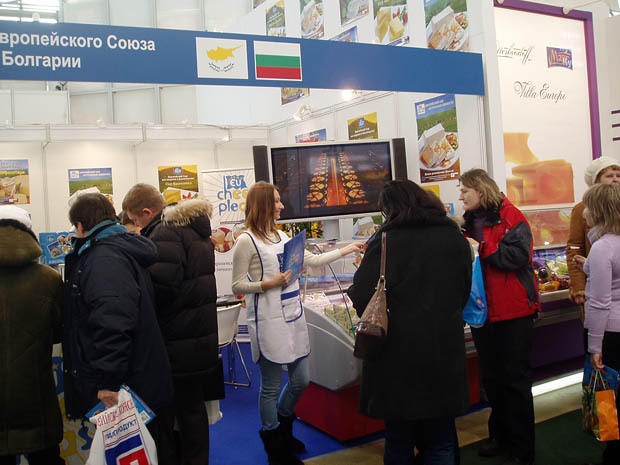 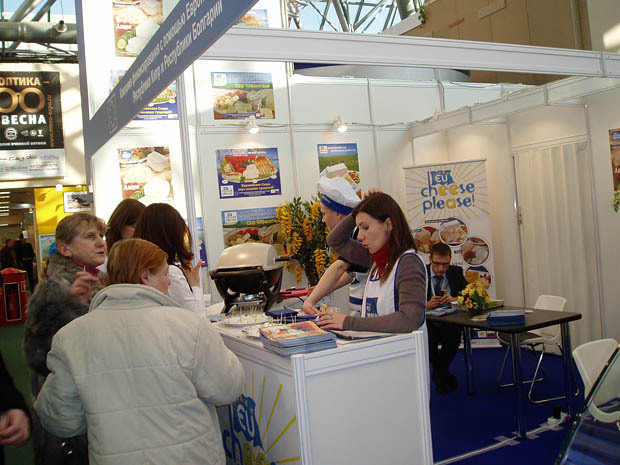 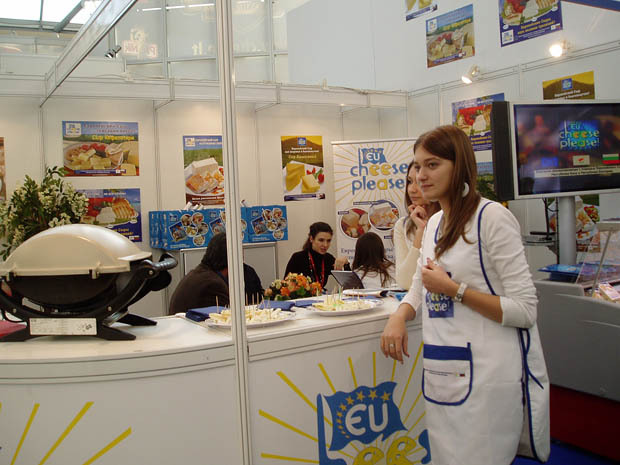 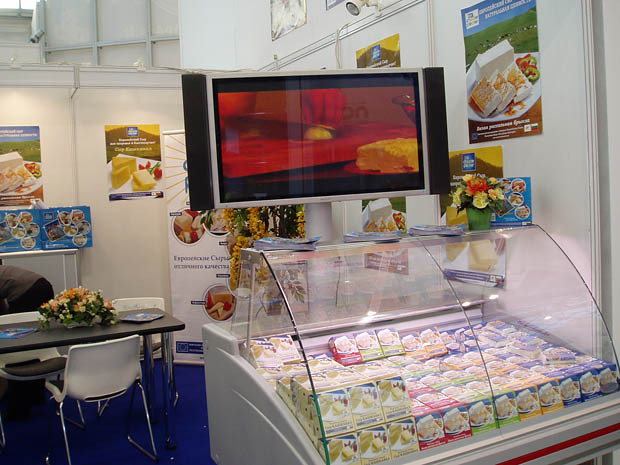 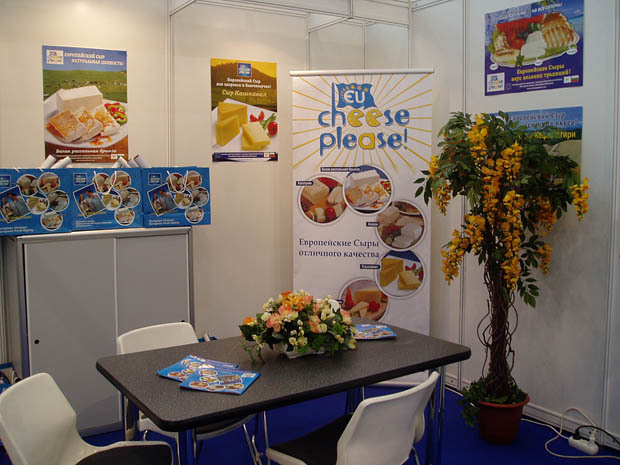 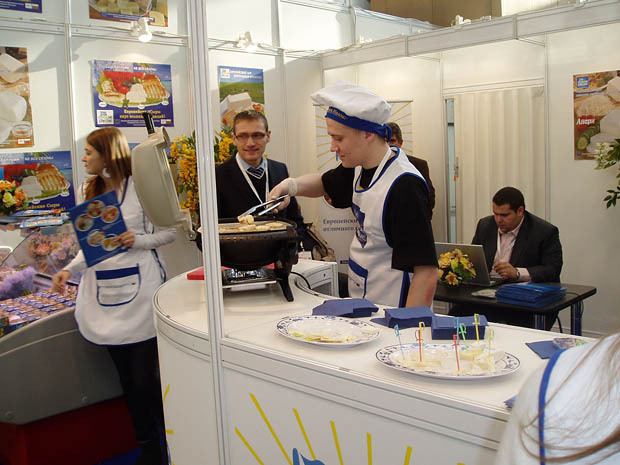 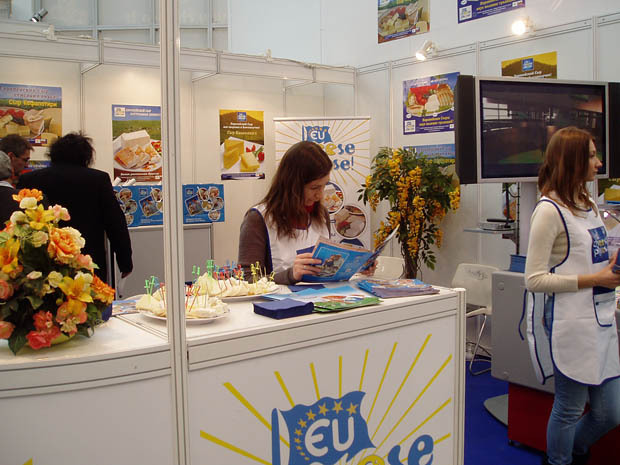 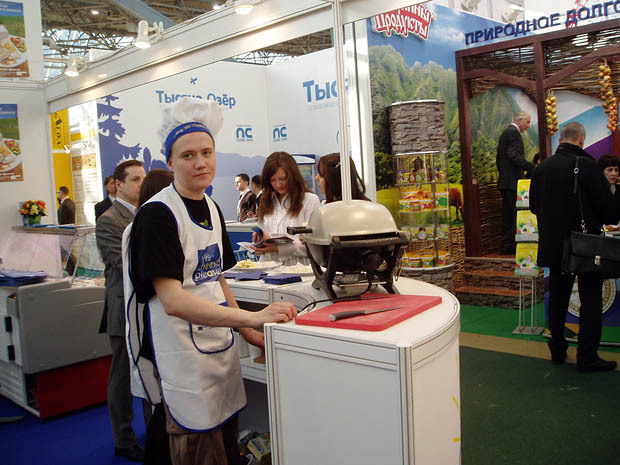 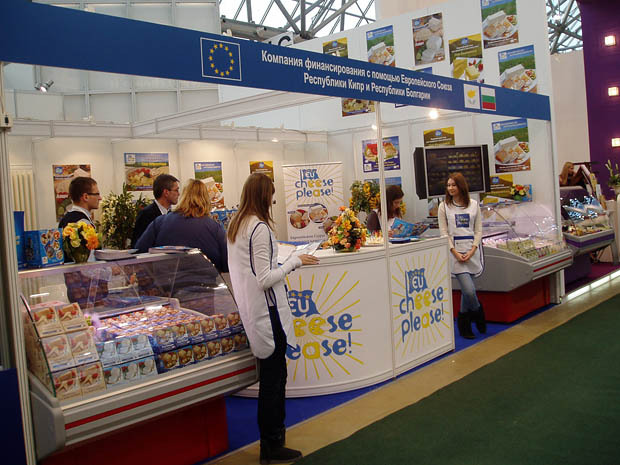 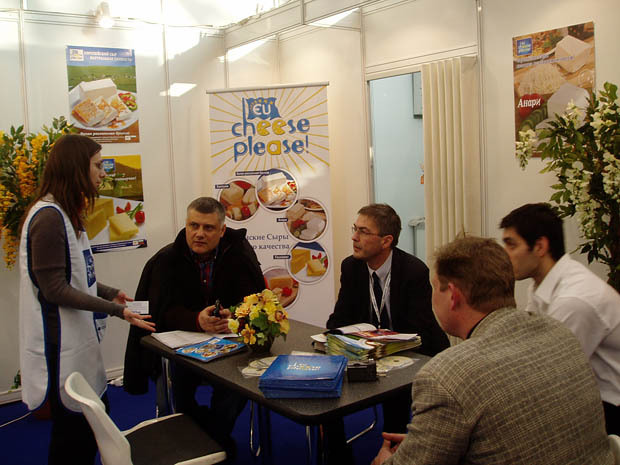 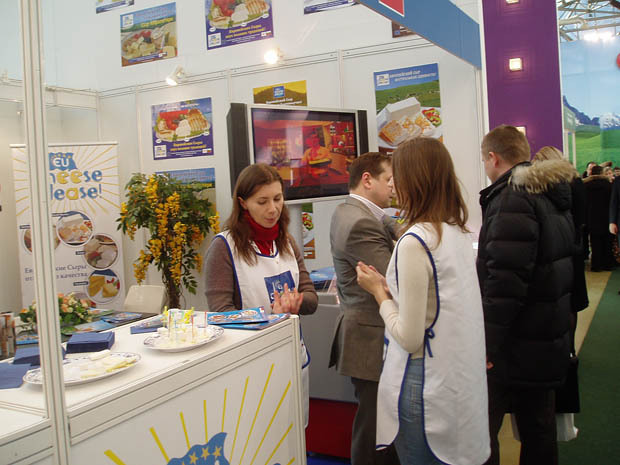 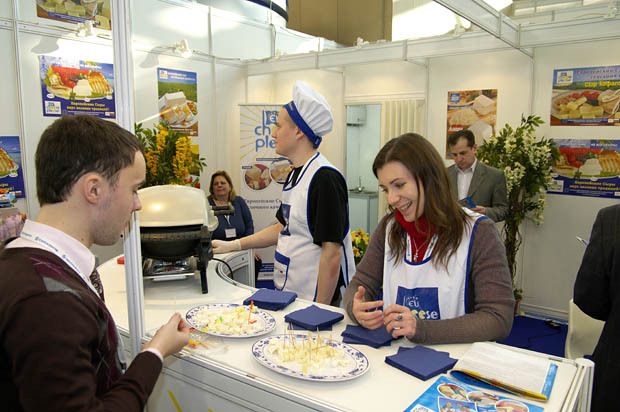 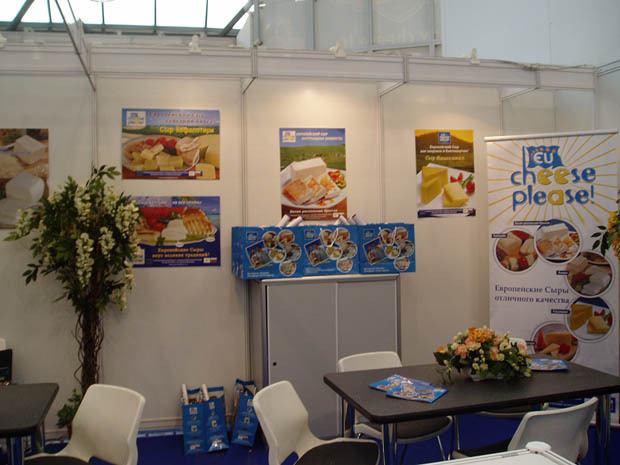 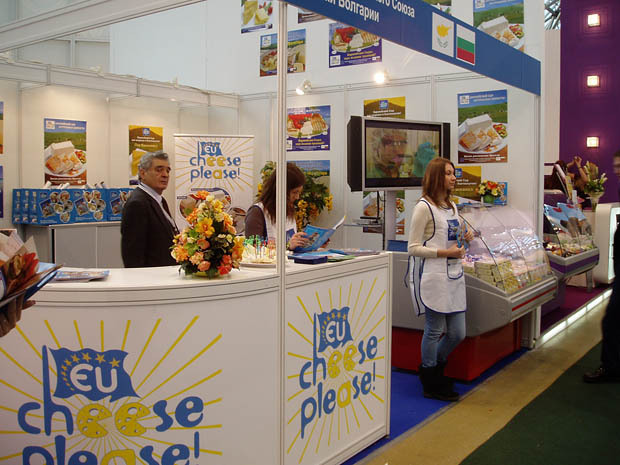 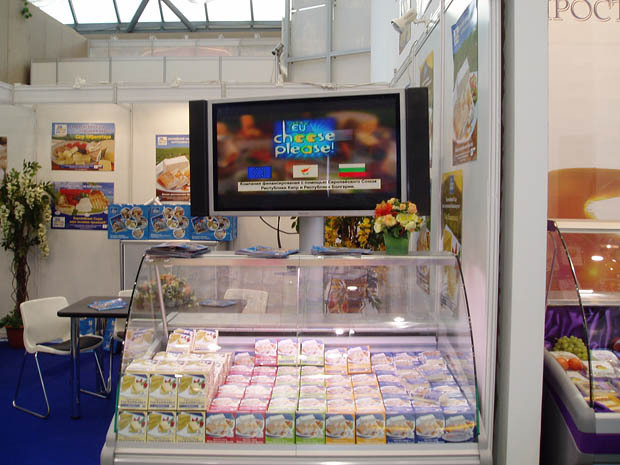 “EU Cheese Please” successfully participated in the largest annual specialized exhibition in Russia and Eastern Europe. 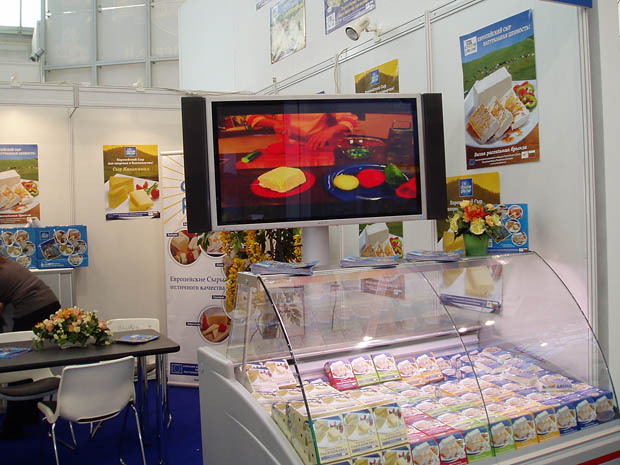 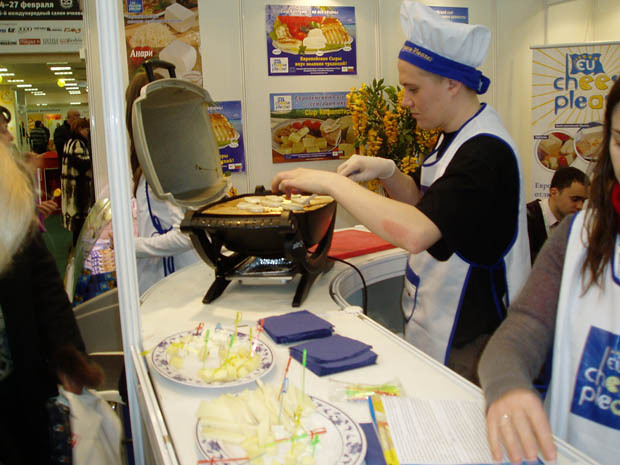 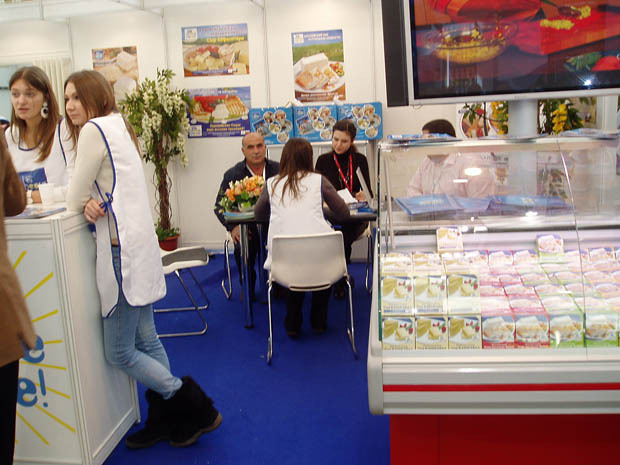 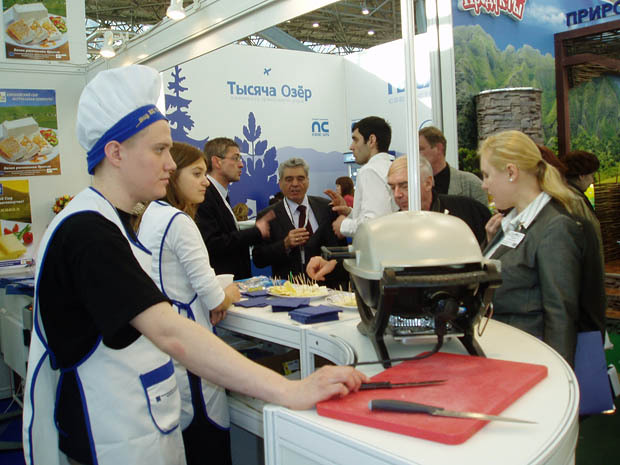 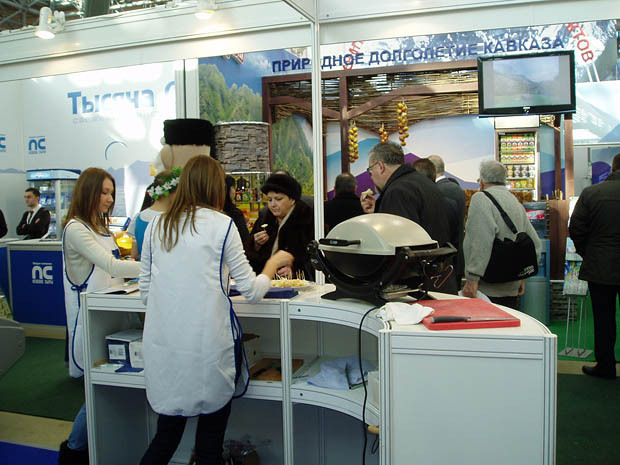 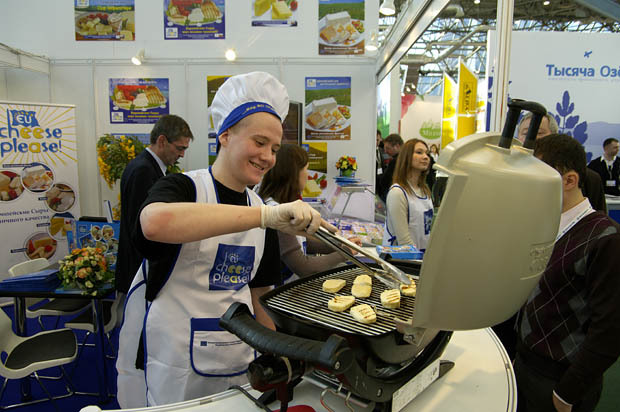 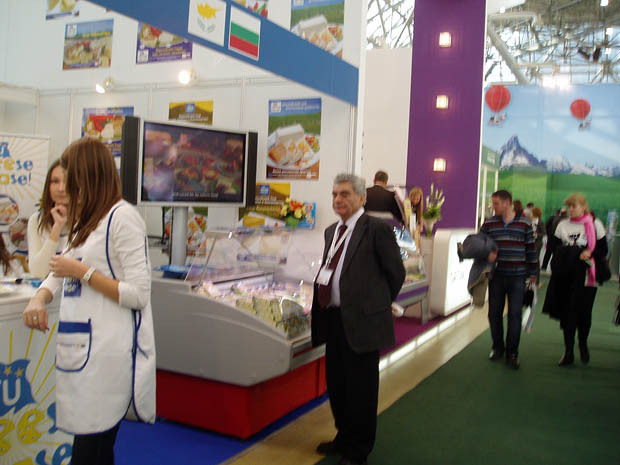 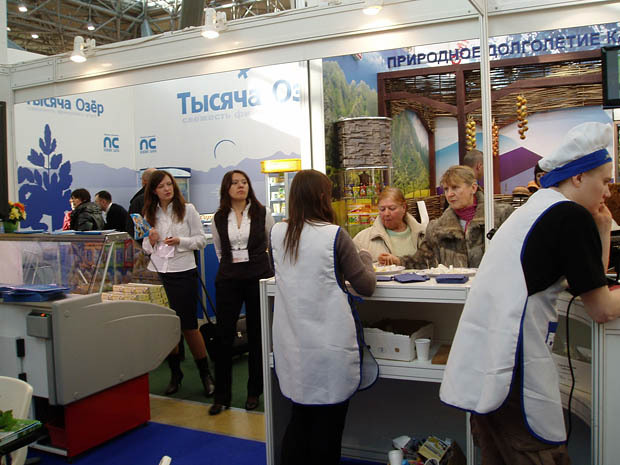 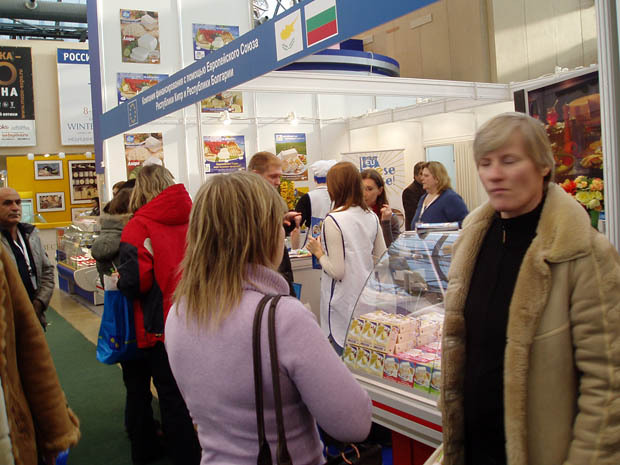 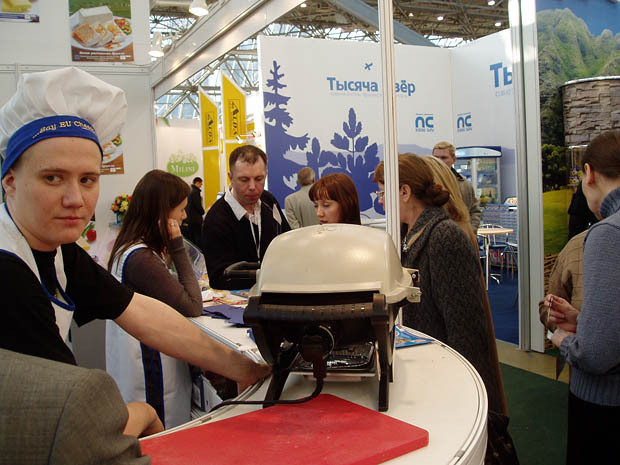 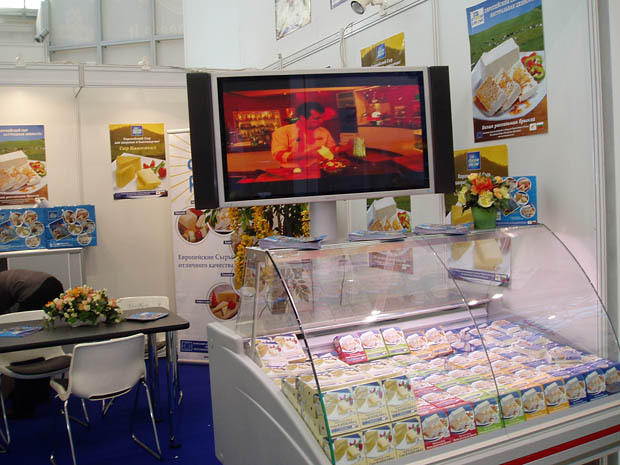 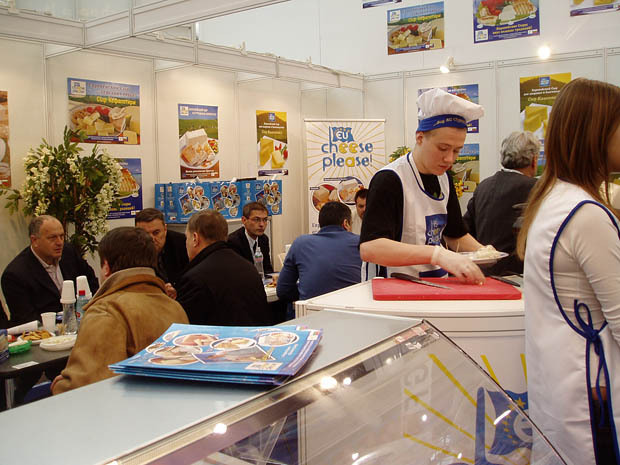 The PRODEXPO exhibition is known to determine the development of the domestic food industry in Russia. 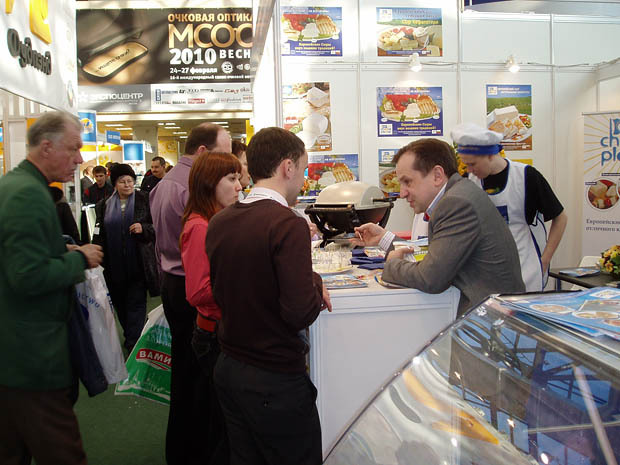 Prodexpo'2010 was successfully held at the Moscow Expocentre Fairgrounds on February 8-12, 2010. 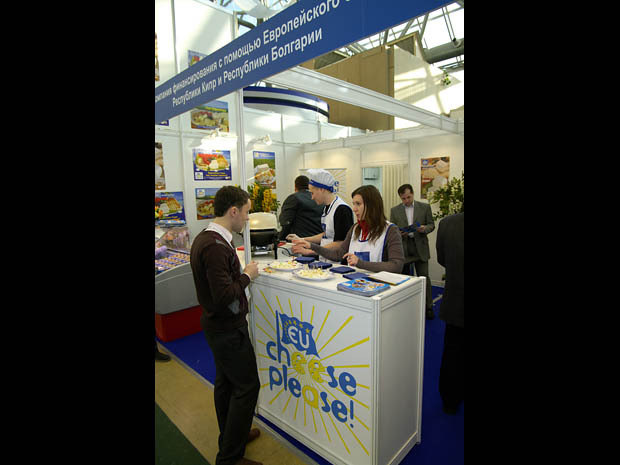 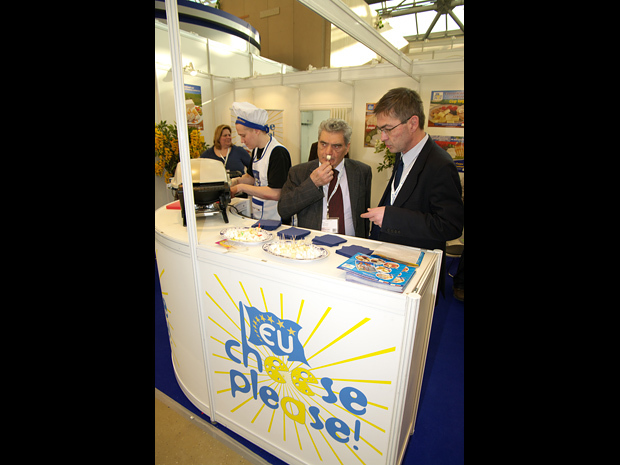 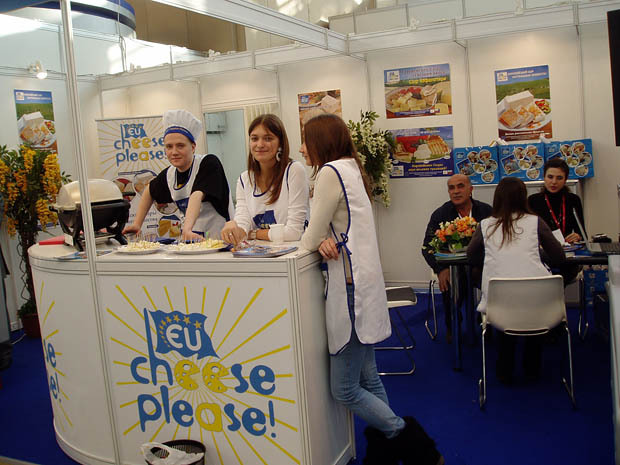 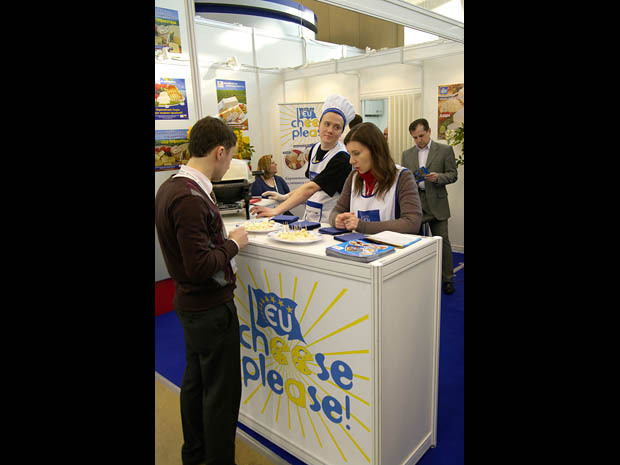 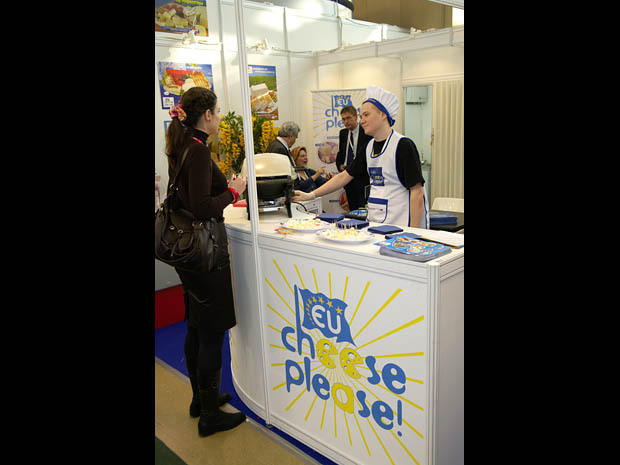 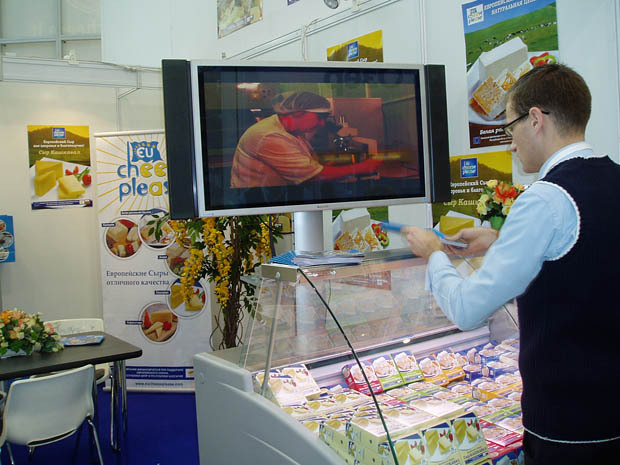 The “EU Cheese Please” stand FG 116, was constructed in the Forum Hall which is the largest food forum in the exhibition. 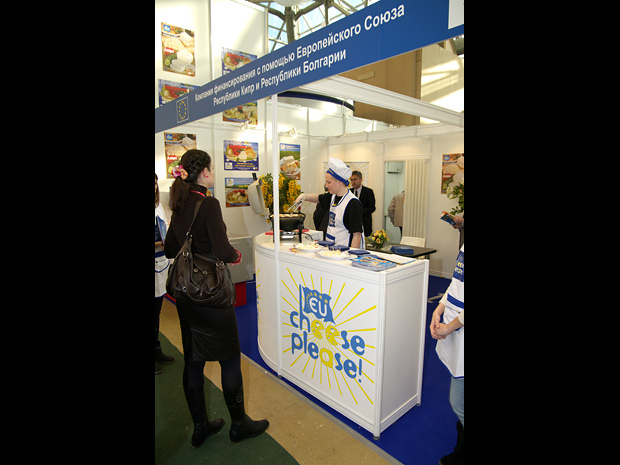 Over 48,000 professional visitors attended the Prodexpo exhibition, 92 % of which were Agri business specialists. 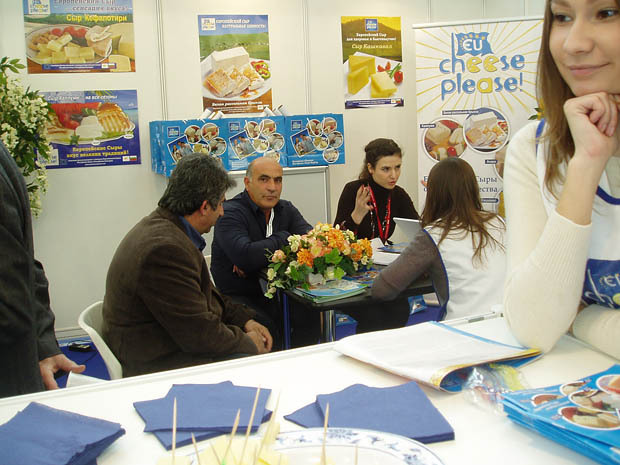 As is characteristic of the “EU Cheese Please” stand all five European cheeses (Halloumi, Kashkaval, White brine cheese, Anari and Kefalotyri) were offered in platters for tasting by the gracious stand hostesses. 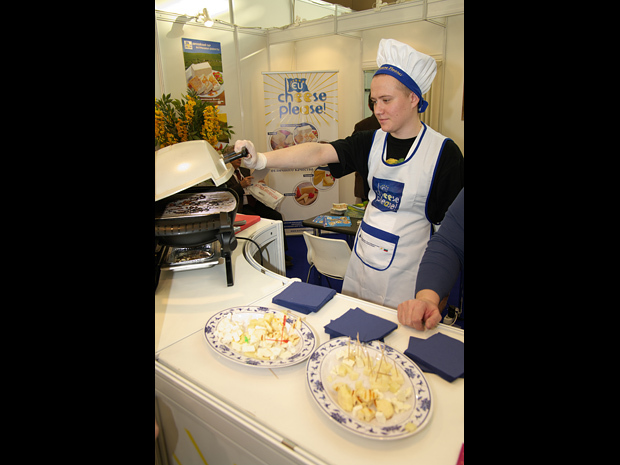 Stand visitors and passersby found it difficult not to taste the delicious Halloumi that the professional culinary chef grilled on site for all to taste! 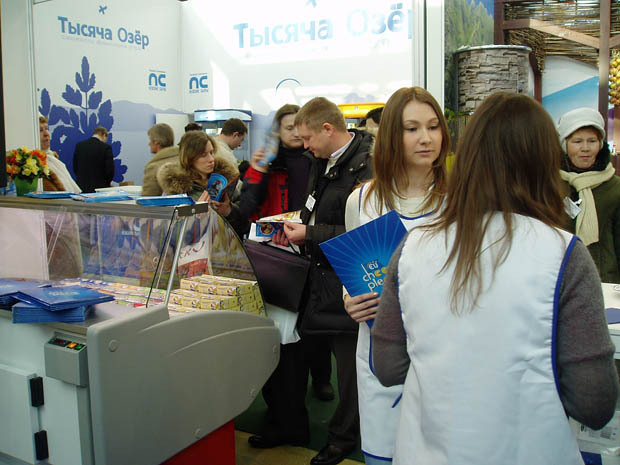 The stand also featured a colourful display of promotional posters, promotional folders, information brochures all of which are given away to stand visitors. 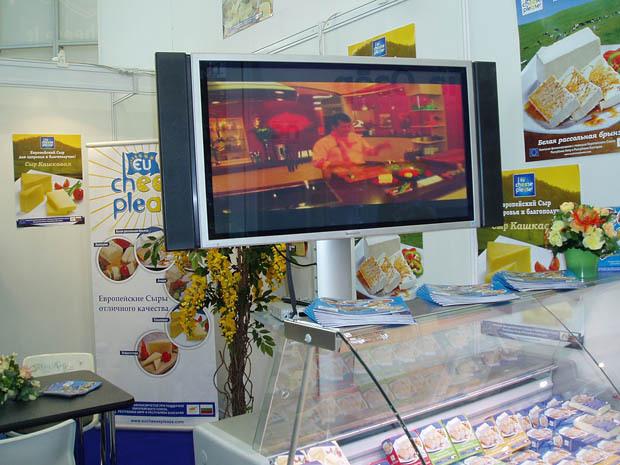 A plasma screen continually broadcasted a taped relay of the especially produced videos and the TV spot. 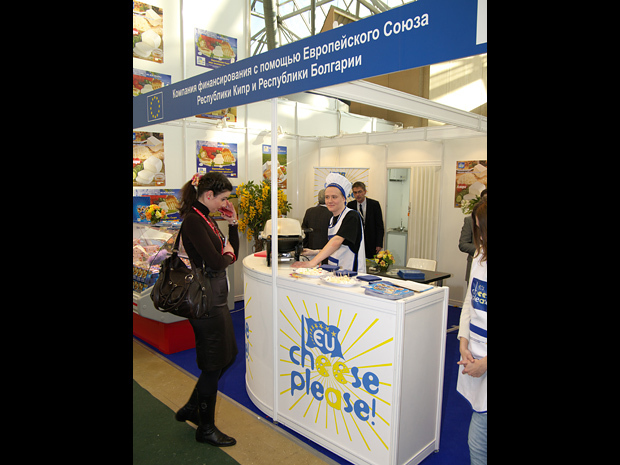 The broadcast was in the Russian language and depicts the European production methods of the cheeses in their country of origin, easy to follow recipes and a beautiful display of all the cheeses. 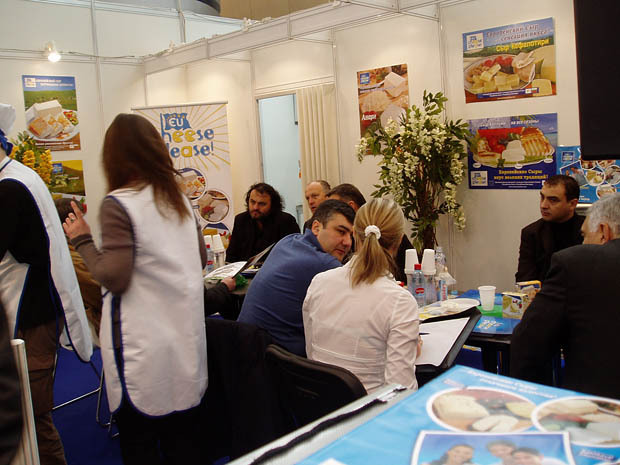 During this exhibition a special business “matchmaking” session was organised for the proposing organisations and their producer members where between 10-15 traders, supermarket buyers, and interested others participated in order to develop business partnerships. 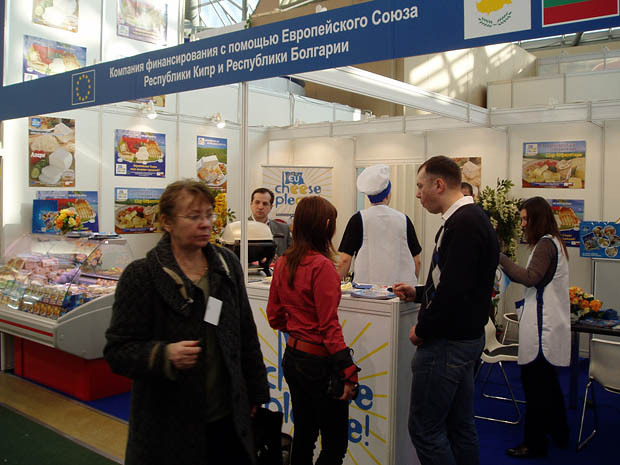 An interpreter was on hand throughout the exhibition to facilitate the process of good business communication where required. 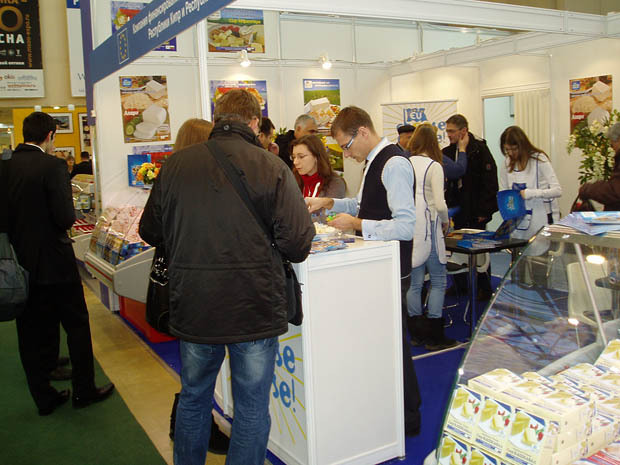 Prodexpo marks the third involvement of a total of 11 participations throughout the duration of the project.